Taylored Expressions October Release Day: Special Delivery! 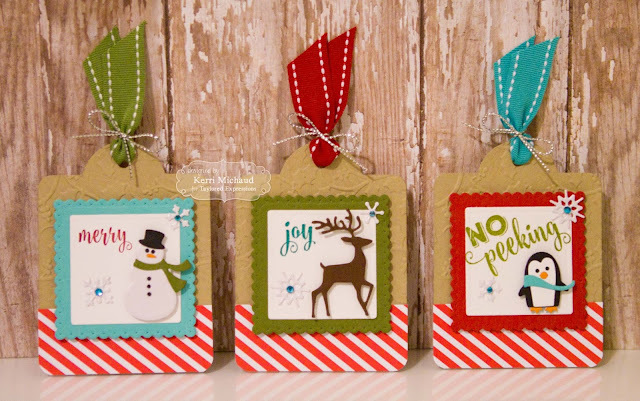 For my final project this release, I used some of the adorable new Little Bits Dies-Little Bits Penguin, Little Bits Snowman, and Little Bits Reindeer along with the Special Delivery Stamp Set to make a set of tags! I started by using the Build a Tag 2 Dies to cut my base out of Toffee cs. I embossed each base with the new Holly Embossing Folder. 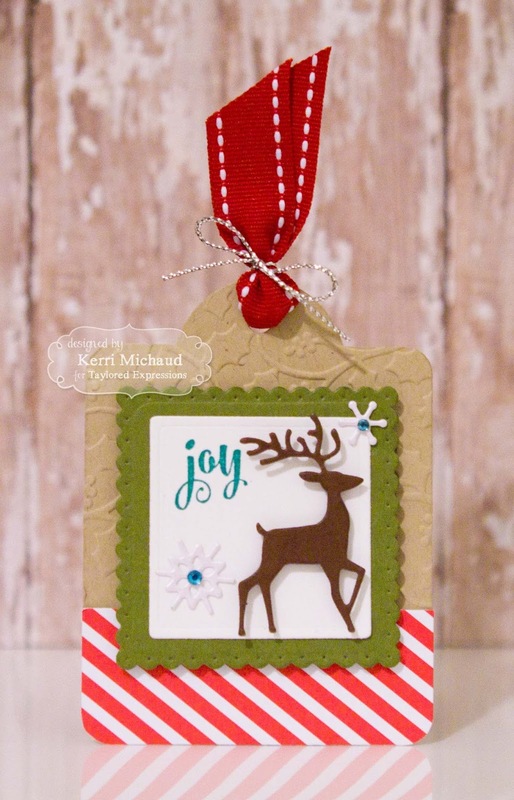 I then cut the square shapes that come with the Build a Tag 2 die set out of Sugar Cube cs, and stamped the various sentiments from the Special Delivery stamp set-I just LOVE that font!!! I added the Little Bits images and framed each one with frames cut out of Cookie Monster, Sweet Basil, and Cherry Pop cs. 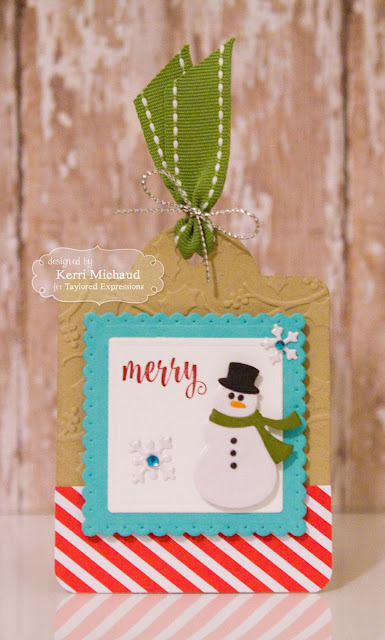 The dp is from the Build a Scene Christmas Paper Pack and I added the snowflakes using the Little Bits Snowflake Confetti Die. Finally, I added the ribbon and Silver Metallic Twine.